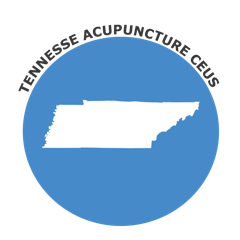 The State of Tennessee requires NCCAOM Certification for acupuncture license renewal. All certified acupuncturists must obtain thirty (30) Professional Development Activity (PDA) points, as defined by NCCAOM, during the two (2) calendar year (January 1-December 31) period that precedes the year in which certification is renewed. For NCCAOM Approved courses, please visit the NCCAOM PDA or CEU course page for current listings.